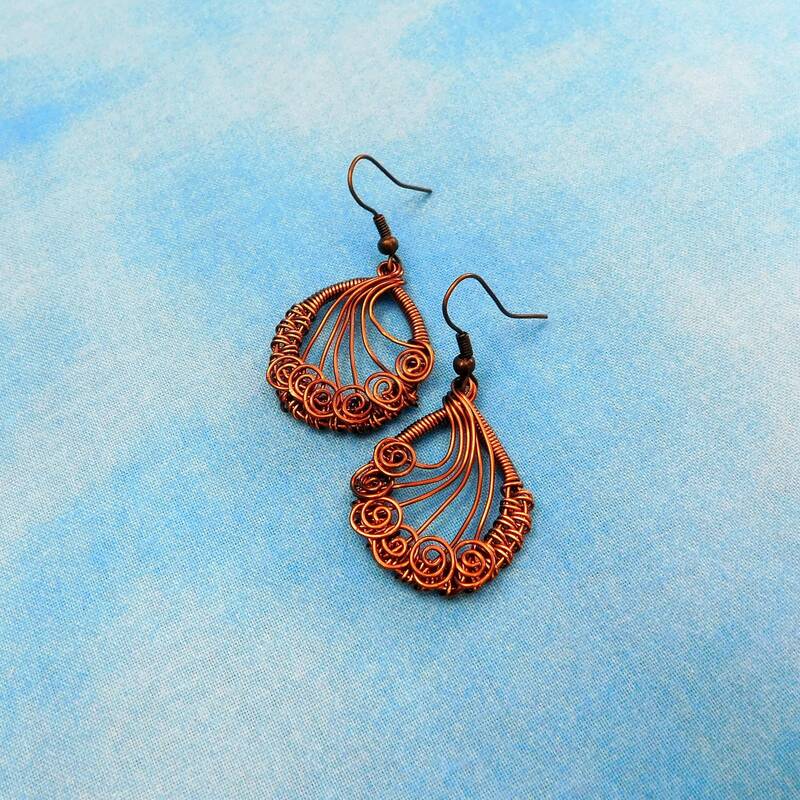 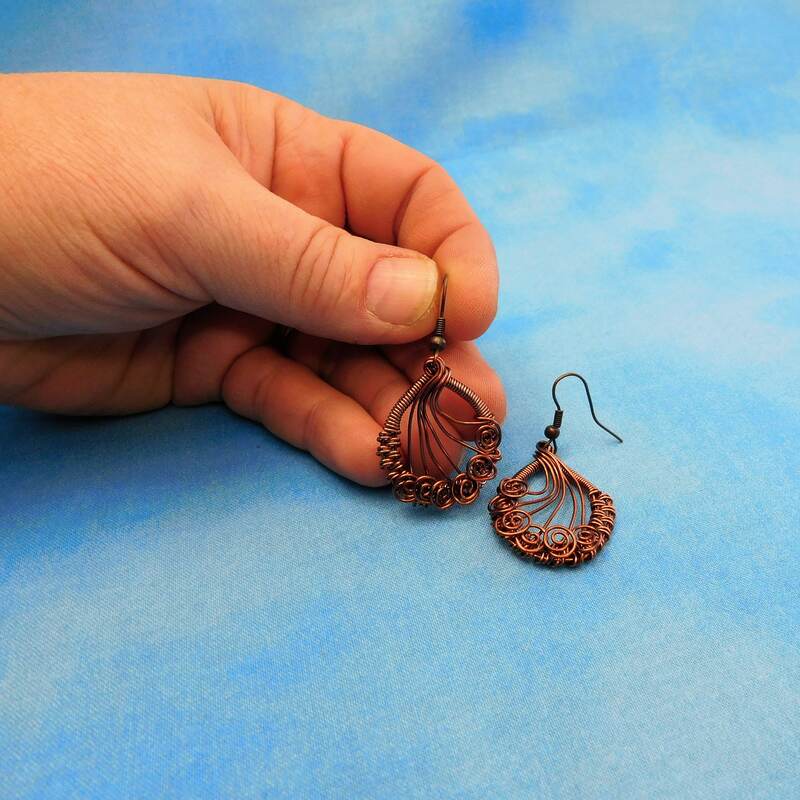 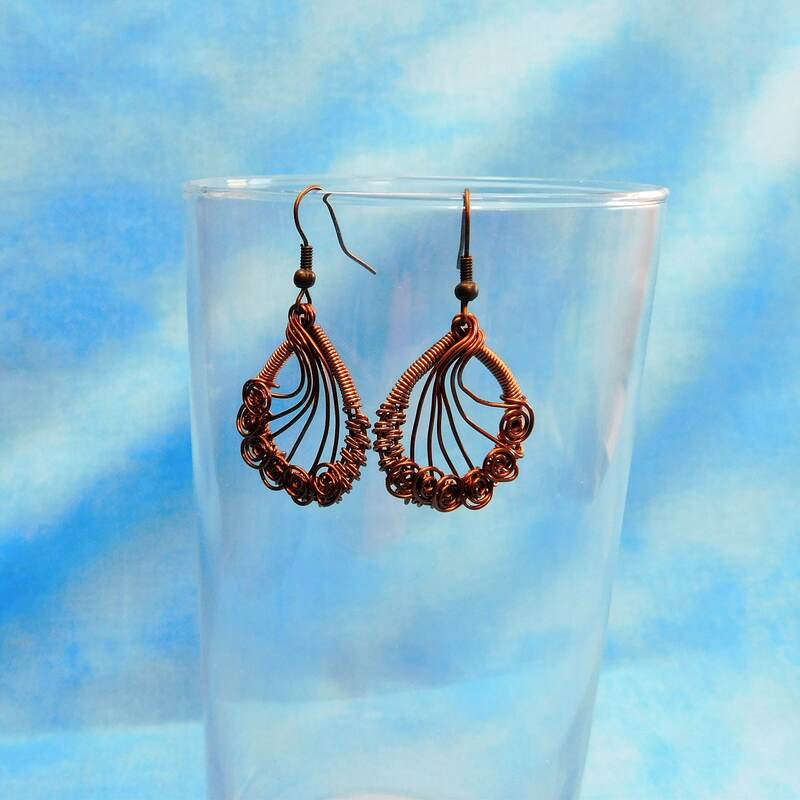 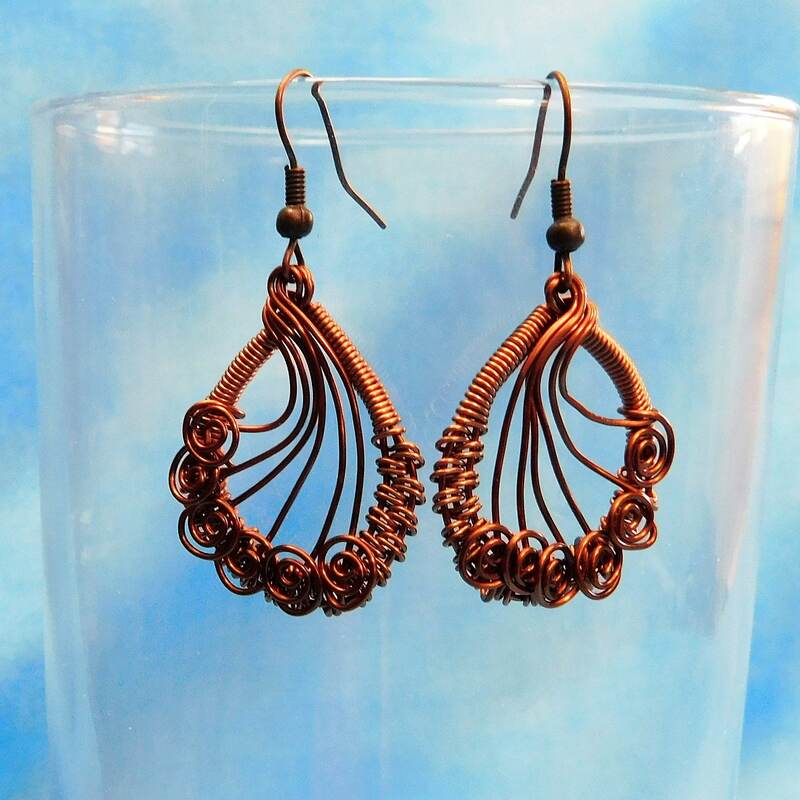 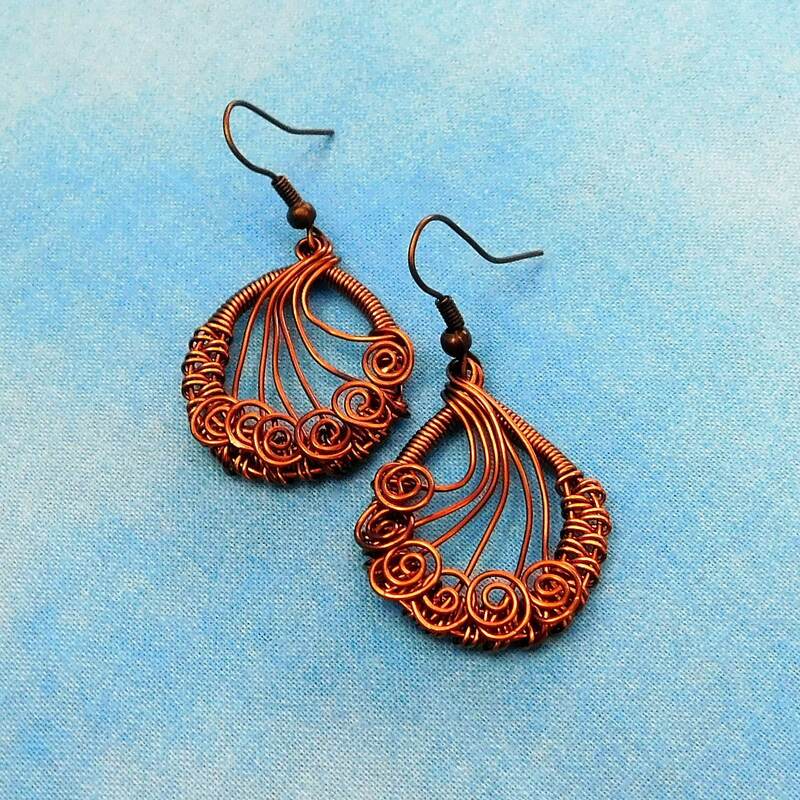 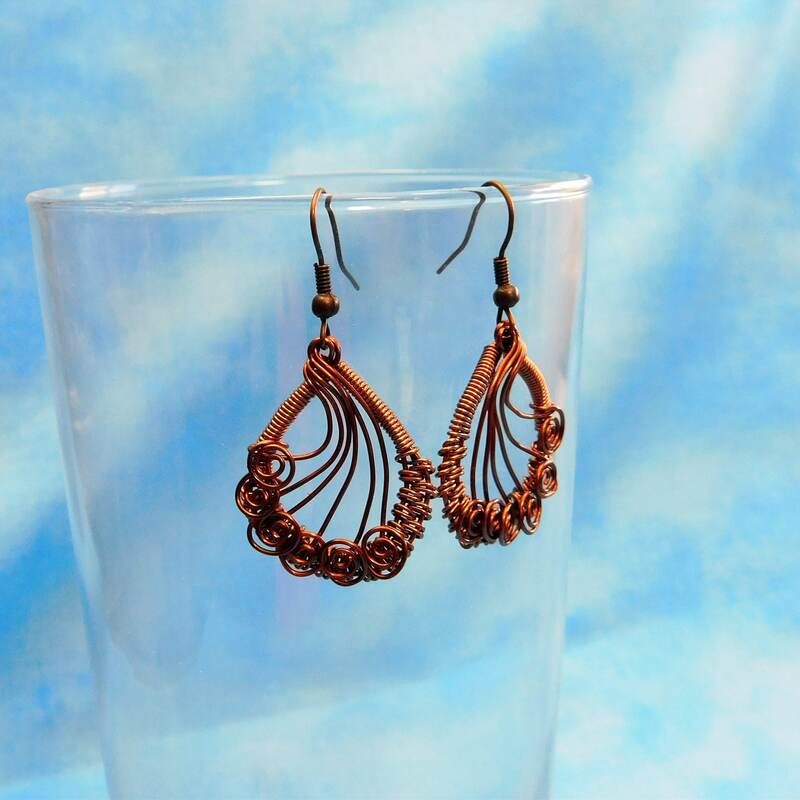 Non tarnish antique copper wire is meticulously hand woven and sculpted into oval shaped earrings on fish hook ear wires. 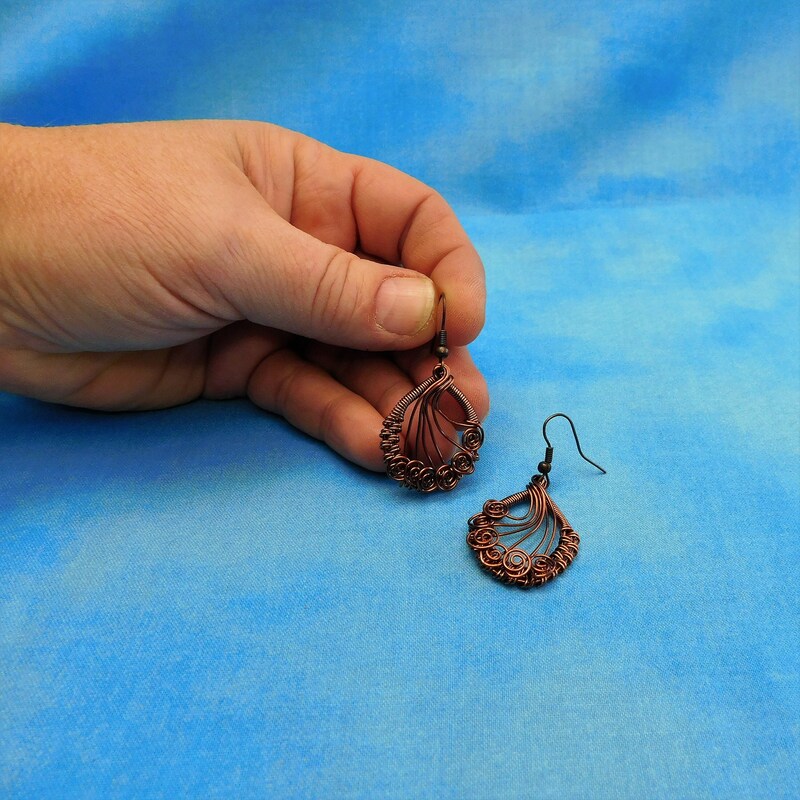 These interesting and artistic earrings are one of a kind. 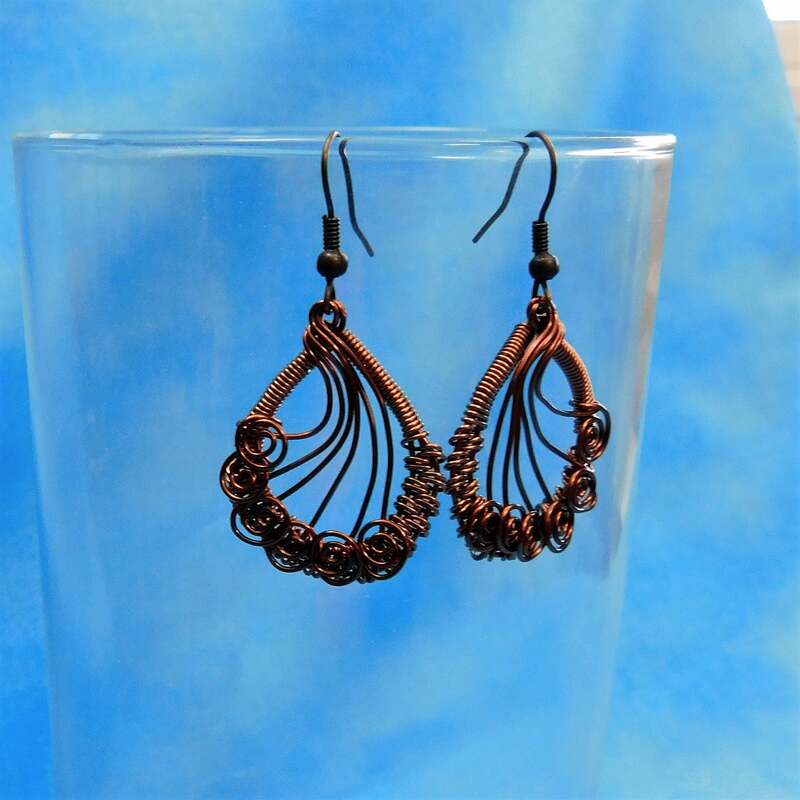 The design lends itself to many styles and colors of clothing and will be a classic for years to come. 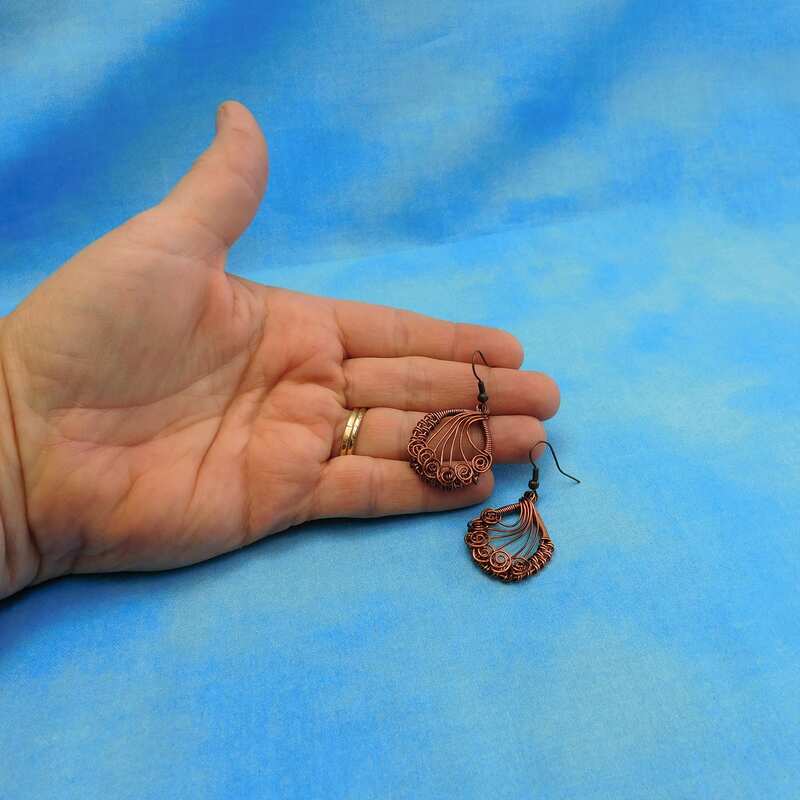 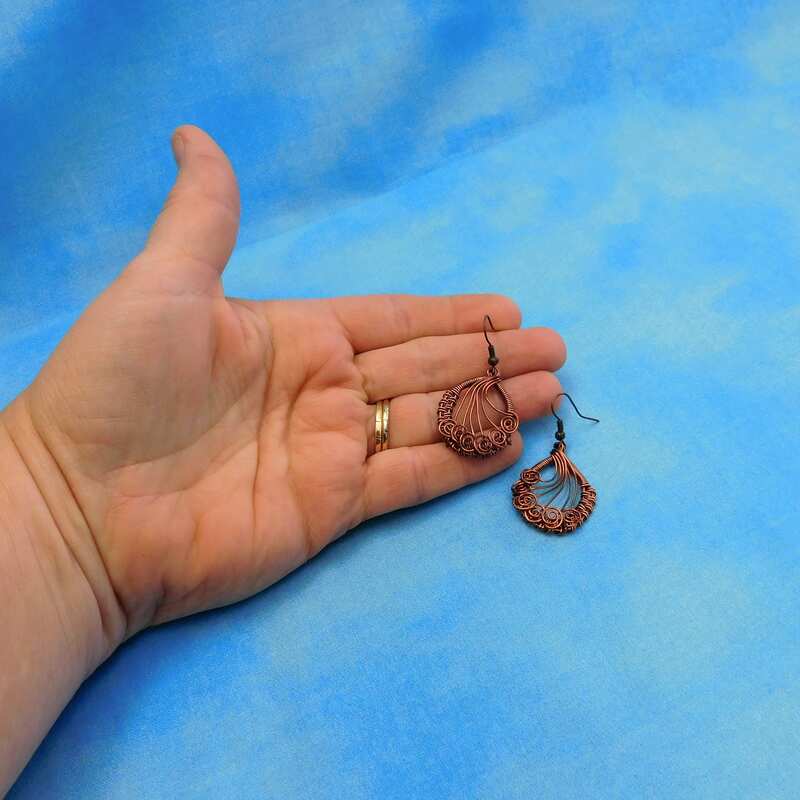 The earrings measure 1 1/4 inches long by 1 inch wide.